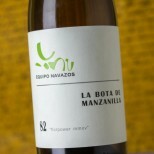 The white 2015 Ovni is produced with Pedro Ximénez grapes from the Montilla-Moriles appellation, an unfortified white wine from the albariza vineyards from Pérez-Barquero. 2015 was an average harvest, similar to 2014 and 2011. 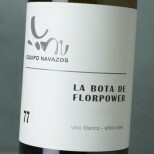 There's always a touch of flor, because the wineries are infected with yeast from years and years (as it happens in the Jura), and the wines always acquire a certain twang. 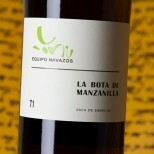 It has good grip, and Montilla always had a little more volume and certain rusticity. 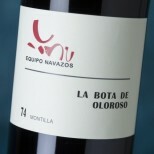 When this wine was first released, I thought it was a Martian, and now the style is very much in fashion and feels very normal. No 2013 or 2014 were produced. 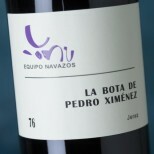 6,000 bottles produced. 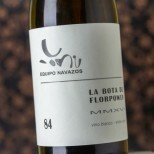 Fermentación alcohólica espontánea con levaduras autóctonas. 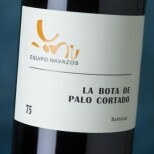 Corta crianza biológica bajo velo flor en tinajas de cemento. 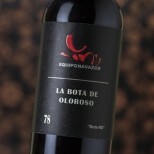 La Bota de Oloroso 78 "Bota NO" - 37,5 cl. 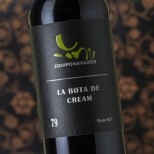 La Bota de Cream 79 "Bota NO" - 37,5 cl. 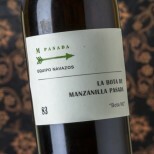 La Bota de Manzanilla Pasada 83 "Bota NO" - 50 cl. 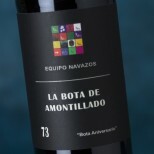 La Bota de Amontillado 73 Aniversario - 37,5 cl. 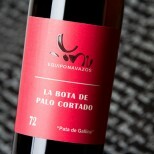 La Bota de Palo Cortado 72 "Pata de Gallina" - 50 cl.